Brewery Clean-In-Place - Hydro-Thermal Corp.
A complete package with temperature controller. 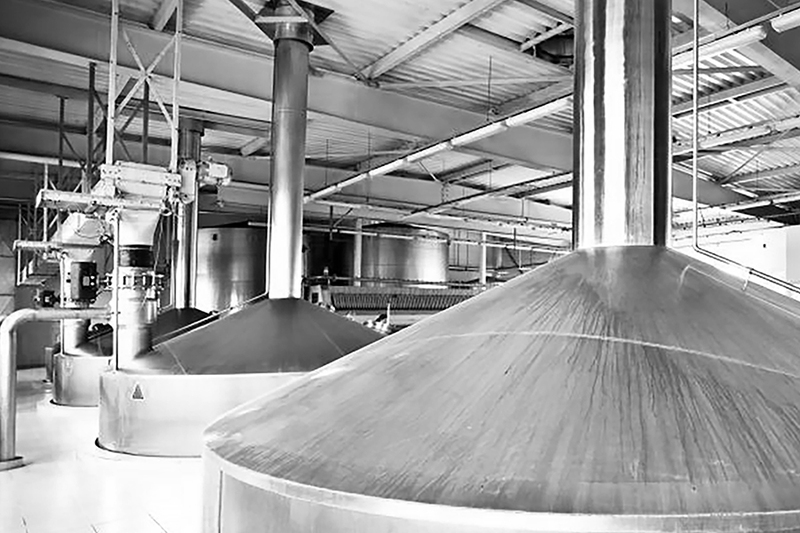 A major US Brewer needed an efficient and reliable method to precisely heat circulated water/solutions for a CIP application of beer filler lines. The application presented a variable heating load of 0-35° temperature rise requirement. To simplify system design and accomplish the degree of control necessary under the variable conditions, the decision was made to use direct steam heaters. The original installation utilized a competitive heater which proved incapable of operating smoothly over the entire range of temperature requirements. Excessive hammering during operation required frequent disassembly to repair internal components. The K411AS Hydroheater® was evaluated by the engineering team as a replacement heater for the CIP application. Final decision to purchase the Hydroheater was based on simple geometry and the unique feature of internal steam modulation. This enables the Hydroheater to operate smoothly over the entire range of steam flow (temperature) requirements without hammer or instability. To simplify installation, the Hydroheater was supplied as a complete package with temperature controller. The Hydroheater was installed in early 1989 and has met performance expectations by providing smooth, hammer-free operation with precise control of loop temperature. The successful performance of the Hydroheater has resulted in the installation of Hydroheaters on two additional CIP systems.